Gone are the days where rich soil and continuous water support system is needed to get plants. The messy dark soil makes a mess and the regulation of nutrients constantly having to add manure of change planting space is a real headache. Gardening and home decor plants can have an alternative for the supply of nutrients which involves the use of hydroponics. 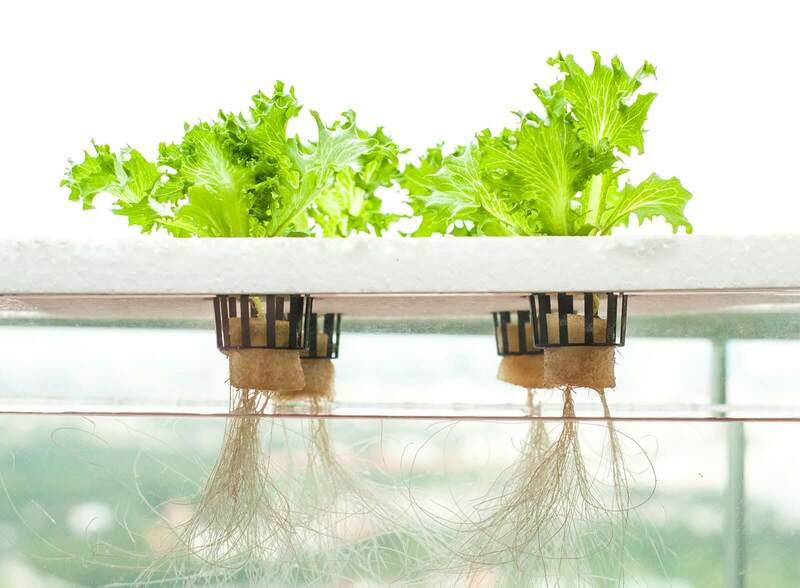 Hydroponics is basically a way of growing plants without the use of soil and instead trade for water solution enriched with nutrients and mineral elements sufficient enough for plant rapid growth. With indoor hydroponics, a source of light is vital and important to provide to facilitate photosynthesis. Hence the use and need for grow light. There are the different type of grow light for hydroponics. These types of lights are common for gardening and very popular amongst gardeners. The bulb comes in odd shapes and are inserted into a hood-like system. The lights are high intense hence their name and give off a high level of heat. Most plants are kept at a distance away from the lights to protect against the high heat radiation. There are two lights used for the two stages of plant growth i.e vegetative state and flowering stage. Metal Halide is majorly used in the vegetative state while high-pressure sodium lights are used in the flowering stage. This is an efficient light if you need intensity and can manage the high heat generation. If you have a small garden space or mini flowering plants that uses hydroponic growth, then CFL is the right light for you. It doesn’t generate too much heat and is perfect for small gardens and space. You can effectively grow those little roses by the corner without having to pay high air conditioning bills with compact fluorescent light. Fluorescent Tubes vary in use but a common tube used as grow light is the T5. The heat it gives off is on a lower intensity level and can accommodate plants at close proximity. Indoor gardening or countertop plants effectively grow using this form of light source. The restriction in the T5 is its inability to support plant growth in the flowering stages. Hence only some type of plants, usually leafy greens which hardly undergo a flowering stage can use this light source for growth. Most popular and mostly used grow light is the LED light. Light Emitting Diode LED is long lasting and useful when absent from home or busy with work. It doesn’t require constant replacement as it can last up to fifty thousand hours. It cost quite a lot but is efficient to do the work of providing enough light without giving off too much heat. LED lamps are quite popular even for other purposes. The wavelength of the LED light is sufficient enough to support the plant in every stage of their lifecycle, both vegetative and flowering stages. You can check the reviews of best led grow lights from peter. The use of grow light of different types is necessary for choice and specific use in a hydroponic system. The wavelengths and heat radiation intensity differentiate the grow lights, also their lasting power. The type of plant grown is one major consideration in picking the right type to grow light in hydroponics.